As patients age, their teeth become darker due to a combination of natural yellowing and the consumption of deeply pigmented food and drinks. 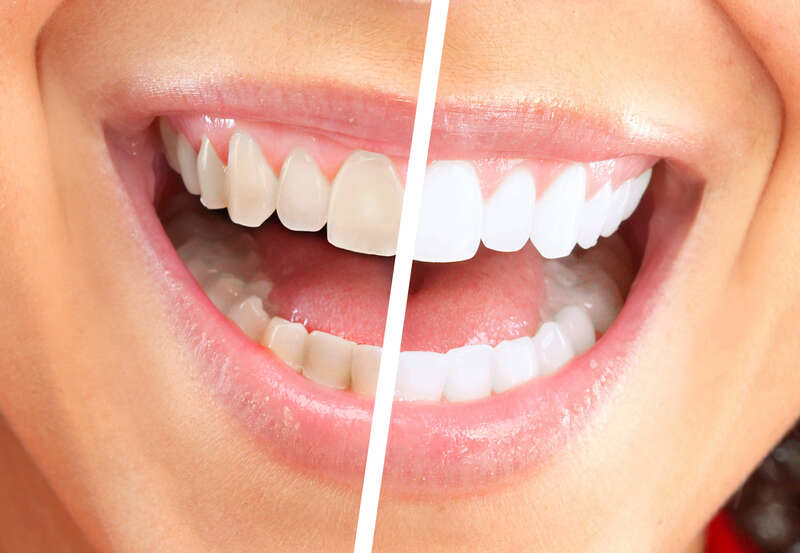 At Cosmetic & Implant Dentistry of Maryland, Dr. Jennifer Ouazana helps patients achieve brighter teeth through in-office and take-home whitening treatments. These treatments are a non-invasive option to help you reach your cosmetic goals and increase the confidence you have in your smile. To schedule your exam and consultation for teeth whitening, contact our Pikesville cosmetic dentist today. Known for the convenience of producing significantly brighter teeth in a single visit, Zoom! is an excellent option for patients looking to brighten their teeth during a lunch break. Cosmetic & Implant Dentistry of Maryland offers whitening in-office, which can be completed within a single, hour-long appointment. Due to its speed, Zoom! is ideal for those patients who are looking to enhance their smile aesthetics prior to a major event, such as a wedding, graduation, or professional presentation. Following your treatment, we provide touch-up kits to help you maintain the appearance of your smile. Should patients look for greater control over the shade of their smile, Dr. Jennifer Ouazana offers take-home whitening through Opalescence. The bleaching trays used for this method of whitening are custom made to fit your smile. Bleaching gel is then applied to the interior of the tray, and placed on the teeth. The snug fit of the trays allows patients to complete daily tasks as they bleach their teeth, and can be held in place for shorter or longer periods of time, depending on their sensitivity level. Opalescence also comes in a variety of concentrations, allowing patients to brighten their smile according to their personal goals for enamel shade. Patients who attend their regular exams and cleaning appointments twice a year are provided whitening treatment for life. This option allows patients to have their initial Opalescence trays fabricated at our office. At each routine hygiene appointment, we provide patients with new tubes of whitening gel, allowing them to maintain the bright appearance of their teeth. Not only does this allow our patients greater convenience for maintaining their results, but helps us to ensure that their smile remains healthy with regular cleanings and exams. If you are looking to achieve and maintain a bright, white smile, contact Dr. Ouazuna and our team today. We provide options for in-office and at-home whitening in Pikesville to help you gain greater confidence in your smile.